Many years ago, when I first got interested in sketching animals, I met one of the top wildlife artists of the day. I wish I could remember his name, because what he told me then has stayed with me my whole artistic life. It’s not what you see, so much as what you feel. Texture is a compositional tool that helps us to communicate feeling. It is the roughness of a surface, the tactile, touchy, feely quality of what we are looking at. Low angle side lighting casts shadows which in turn, emphasize texture. Explore the gallery below and read the captions to learn more about texture in wildlife photography. Now this is texture! 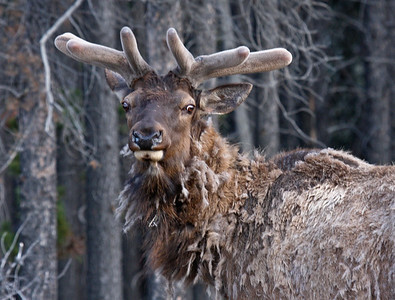 The elk is shedding his heavy winter coat in preparation for the warmer weather of spring and summer. The heavy coarse texture of his coat is balanced by the fine velvet texture of his horns and then in the background, more texture. I just want to scratch this image with my fingers. 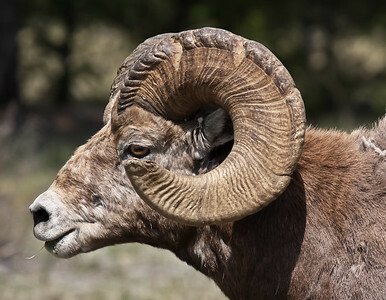 The lines, striations and chips in the big horn of this sheep are in sharp contrast to the fine texture of his coat and face. I like this photograph. 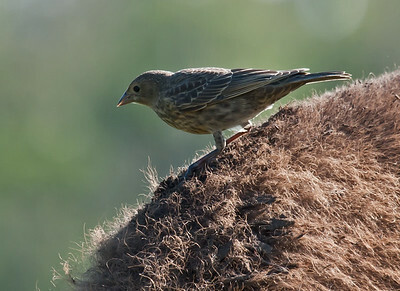 This cowbird is perched on the thick and wiry coat of a bison at Elk Island National Park. 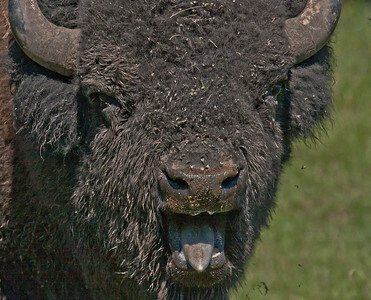 Cowbirds have a symbiotic relationship with bison, feeding on insects, stirred up the the bison's hooves while foraging. It is August, season of the Bison Rut and this bull is down and dirty, in the mood. Mud, slobber and detritus cover his face. Flies are perched on his nose. And he is lookin' for love. Juvenile Bald Eagle - French Beach, near Sooke, B.C. 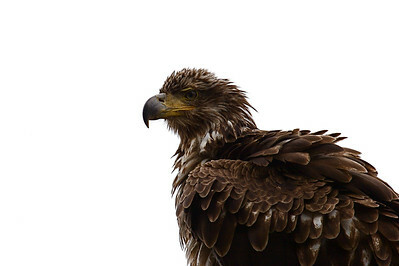 The texture of this eagle's feathers really add to the power of the image. Note how his head and neck feathers are just beginning to change colour as he matures.